You have a kid. You have a husband. You have a job. You have 500 appointments. This is why we have schedules. My best advice- BUY A PLANNER! Or if you are super techno savy get an app. Either way. Have a calendar where you write it ALL DOWN. We have 3. One in the kitchen for everyone to see, one with only K12/GCA meetings, due dates, etc on it, and then the "main" planner that is in my purse. Yes that means I write stuff down multiple times but it also helps me to remember it. I used to be all fancy and color code everyone and have it all written neatly. Now I have it all on the calendar and important things like doctor's appointments highlighted. If you are trying to juggle more than one child and all the appointments, play dates, games, etc that come with them this is a must. And if you don't write it down with more than one child good luck. In our house, we have one on a team at school, 3 that play soccer on 3 different teams, braces appointments, regular dentist appointments, school meetings, early release days, youth events, and blog deadlines. 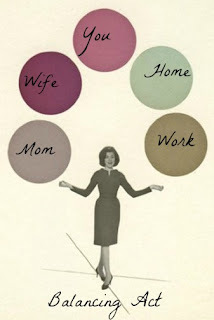 To be honest, I gave up keeping up with my husband's schedule between two jobs because it was driving me crazy. So 4 kids' schedules, my personal schedule, my blog schedule, and making sure I know what family stuff we are supposed to go to on both sides- I HAVE TO HAVE A WRITTEN SCHEDULE. And that is just the extra stuff. We also have a day to day schedule that is not written but pretty much followed to the letter. 5:30 AM- My oldest son and I get up, eat breakfast, and he gets ready for school. 6:15- 6:25 AM- the bus comes. 6:30 AM- Hopefully Mom quiet time. 7- 7:30 AM- everyone else gets up, eats breakfast, and gets dressed. 8 AM- School starts. 3 PM- School ends (hopefully), 6PM- Supper, 9 PM- bedtime. So all that other stuff gets plugged in where ever it has to go. If we didn't have a schedule, it would be complete bedlam. So if you have children- buy a planner. USE IT. Set a daily schedule that can be changed as needed for all those appointments. And most importantly breathe. If you forget something I promise it will be okay. I know it won't get done without it being in the planner. I love planners. They are fun to me. Everybody else in the house not so much.